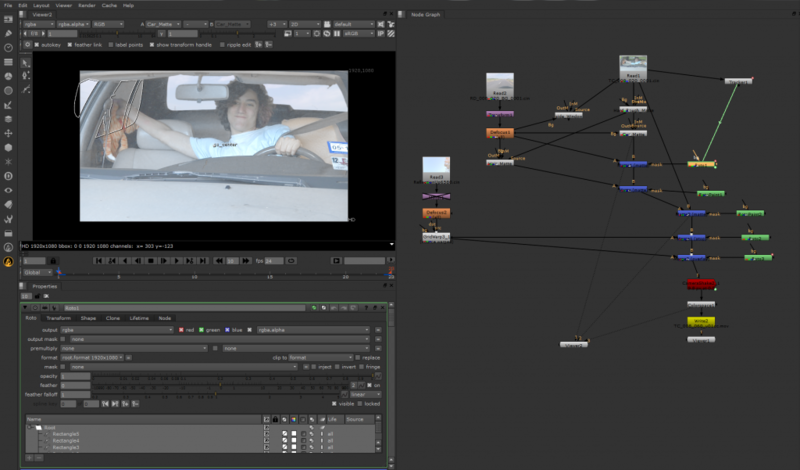 Here is a look at the visual effects process. All the nodes on the right side are effects that chang the image. A few of the nodes are viewers but most of that is for the effect. There is a crazy amount of work involved to make it look like someone is driving down the street. This is one shot of 104 that needs to be completed. That’s insane for a no budget movie. –A big thanks to Matt Walters for making this magic happen. I promised him I’d try to do things practical next time.